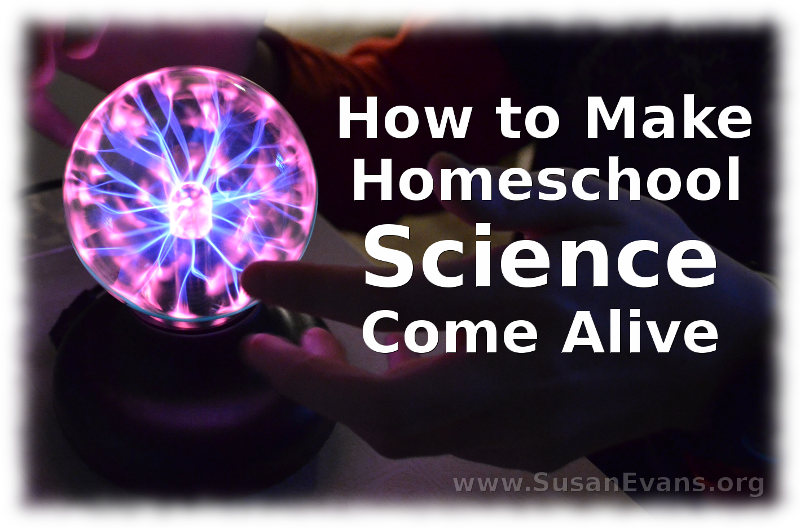 Are you wondering how to make homeschool science come alive? Well, you’ve come to the right place! Today you will hear a panel of homeschool parents discussing how to make science one of the most exciting subjects for your homeschool! The reason hands-on activities are more important for science than for any other topic is that you can’t truly understand the science concepts without seeing them in action. This is why experiments are so important and why you really ought to touch what you are studying. You don’t have to know anything scientific before teaching science. Since the material you are teaching is meant for a child, you can easily learn it along with your kids. If you have a delight in your eyes while you are teaching it, that delight will spark interest in your children. Everyone makes mistakes while doing science, so don’t be afraid to fail. When making the Edible Sedimentary Rock, you will notice in the video that I poured the liquid into the pan quickly instead of slowly, and the layer was lumpy instead of smooth. My daughter screamed from being splashed accidentally with the hot liquid, which I had no idea would pop out of the pan at all. So you see, even my polished experiments contain mistakes and failures, and you can just laugh and move on. What Materials Do You Need for Homeschool Science? For elementary science, you don’t need to buy very much that isn’t already in your house–vinegar, a drinking glass, a funnel, those kinds of things. Once you get to high school science, you will want to get some equipment like a microscope, a scale, beakers, etc, depending on what you are studying. You really need to do the high school experiments in the lab sciences to fully understand those concepts, so you don’t want to scrimp at that point. When you are studying outer space, you can do star gazing, go to an observatory, or visit a space center. When studying birds, you can go bird watching, visit a bird sanctuary, or go to a chicken farm. A weather station is a perfect field trip if you are studying the weather. Just go to a place that brings your science topic to life, and you can experience that topic in a fresh way. Preschool science is all about delight and exploration. We have done nature collections, put together various terrariums, played with bubbles, and explored many other science topics. Here is a fun article about preschool science: Science in Early Childhood. This entry was posted on Friday, December 12th, 2014 at 8:00 am	and is filed under Science. You can follow any responses to this entry through the RSS 2.0 feed. You can skip to the end and leave a response. Pinging is currently not allowed. These are great suggestions Susan. In early childhood development we were taught to integrate science into the classroom through opportunities of hands on exploration (like you said, rock collections, etc.). I do this in homeschooling too. Science comes from a vase of flowers in the middle of the table, a bug we find in the yard, a snowy day, etc. Thanks for sharing. I’m pinning so I can watch the video later. Yes, hands-on exploration is what captures the imagination of kids to enjoy science! Science has always been a little intimidating to me, I don’t know why. We’ve gotten more hands on with kits in the last couple years, but I still have to psych myself up for it. I’d rather do art or read history. I like teaching art and history better, too! I think the science behind the experiments is sometimes hard to explain.